The odds are most people reading this are more Matt than me. I’m… tepid. “Dying Light” hasn’t grabbed me, and a dozen or so hours in, forcing myself to play more of Techland’s zombie adventure would have only negative consequences on my feelings toward it. Dying Light’s a value play like seemingly every major game released in the past two years. Lots of stuff do, a big place to do it in, a lot of it is pretty good, but none of it is truly special. Techland’s previous undead effort Dead Island: Riptide is a favorite of mine - it had a crazy B-movie energy, unique setting, and its tongue was clearly in its cheek whether it knew it or not. Bugs, glitches, poor acting - whatever, it all worked and made the game a hell of a lot of fun. It was a great McDonald’s Big Mac. Dying Light is a mediocre sirloin; fundamentally better - better graphics, tighter control, more creative maneuvering, bigger world map, lots of weapon and character upgrades, and more features, like a “Be The Zombie” add-on that’s quite good. But to me, an impressive Big Mac tastes better than a mediocre sirloin. The game presents a most visually stunning dystopia, with sunsets and lighting and textures and dust presenting an open world jungle-gym that’s dense and suitably run down. Sometimes the samey-brown shacks and shanties and turned over cars and crashed buses and zombie types run together, but as far as intentionally drab and abandoned slums go, you can’t complain. It all controls well, too and outside of some obtuse objectives and a very confusing elevator at the beginning of the game, a few physics hiccups like zombies tumbling over ledges with a disregard for the law of gravity, and items like televisions, pots, pans, and glasses not appropriately breaking or smashing or shattering when struck with a weapon, Dying Light is solid in a way Dead Island was not. But through the upgraded graphics, increased content, and a serious…er narrative, Dying Light loses what made Dead Island entertaining. Instead of being a ‘bad’ game with creative and colorful and entertaining moments, Dying Light is a ‘good’ one with less of those things. If this is your cup of tea, great, but if you’re on the fence, sick of open world games, or zombies aren’t your ‘thing’, Dying Light won’t change your mind. It’s like genre filmmaking. There are countless straight-to-dvd movies that are perfectly serviceable, content to paint within the lines of an established formula, entertain the fanbase, and everyone leaves mostly satisfied. 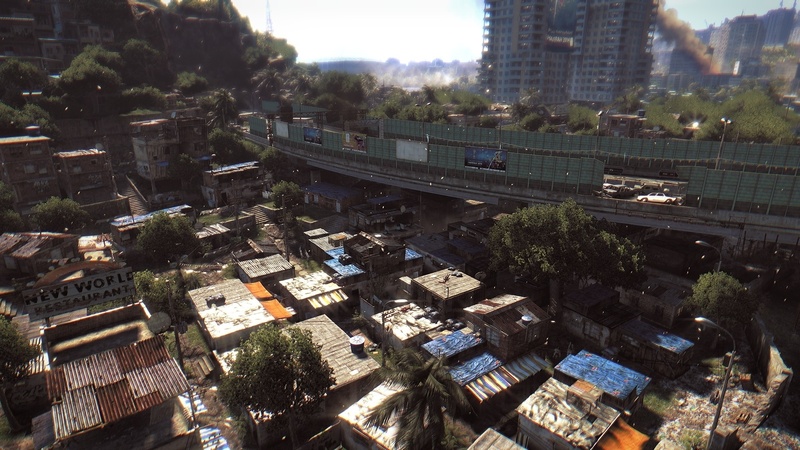 Dying Light is a perfectly serviceable open-world painting in the zombie genre. But there’s a reason why ‘Rocky Horror Picture Show’ still plays Wednesday nights one town over from me, and “West Side Story” does not, and a reason why 2004’s ‘Dawn Of The Dead” is a basic cable classic, and “Land Of The Dead” is forgotten. A bazillion years ago Roger Ebert was asked WHY he gave The Stepword Wives remake three stars. He said it set accomplished what it set out to do. He was then asked how he could give The Life Aquatic with Steve Zissou only 2 and a half. He explained it didn’t accomplish what it set it out to do, but made a point to say ‘what it does is better than anything in “The Stepford Wives.”. So, there you go. Dying Light is The Stepford Wives. Solid, and accomplishes what it sets out to do deftly. But if you stranded me on boat with Steve Zissou and one game to play - I’d choose Dead Island: Riptide because ‘quality’ aside, its worst moments are often as entertaining as Dying Light’s best. 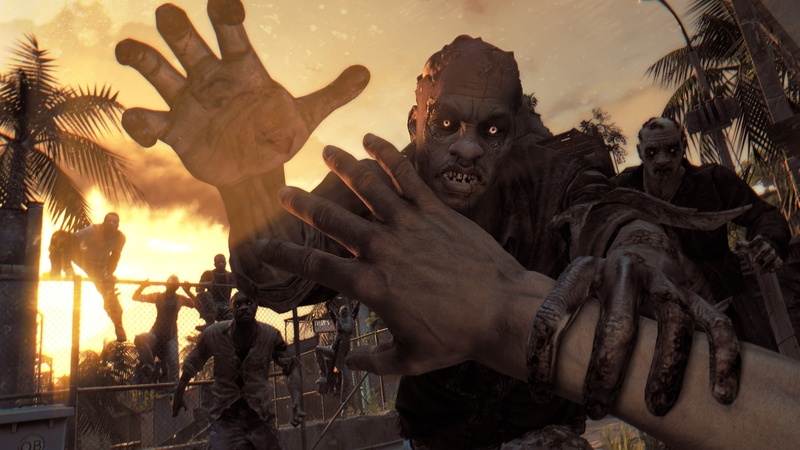 “Dying Light” was reviewed on an Xbox One, but is available for PlayStation 4, PC and Linux.